When taking GIS 203 (Cartography), my final project was creating an orienteering map with GIS Desktop using the International Orienteering Federation (IOF) cartographic standards. 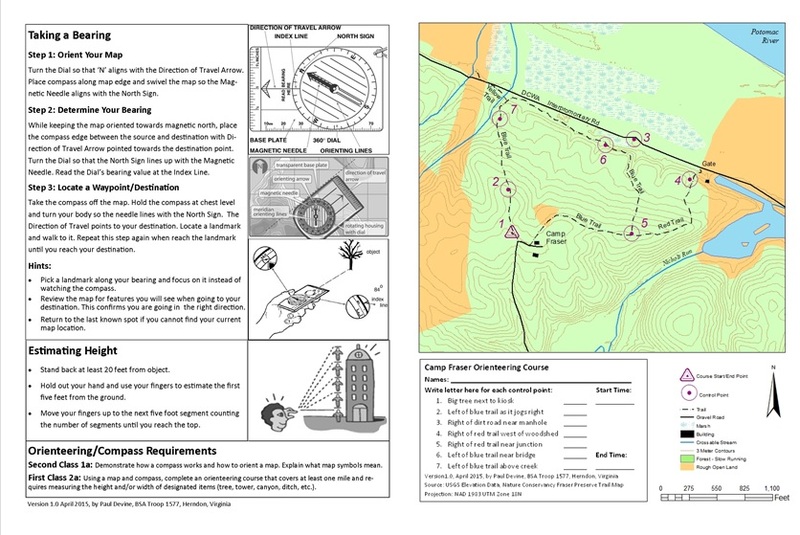 The map’s purpose is to teach orienteering to first year Scouts in order to pass specific requirements. As a result, the map is part of a two-page product containing information about calculating bearings and estimating heights, as well as providing a form to enter control point information. 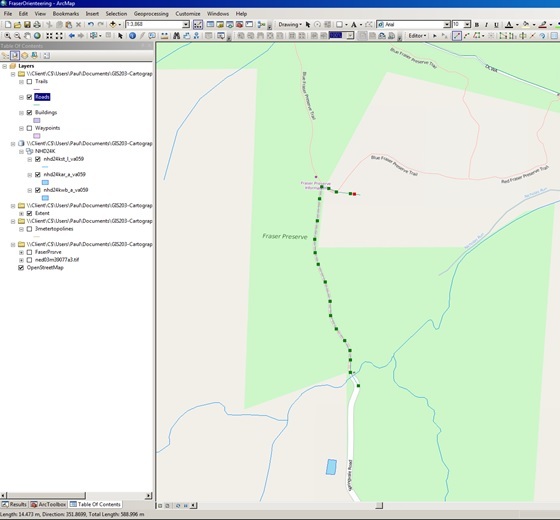 For GIS 295, I want to explore how to create the same map with the same features using a general purpose web-based map creation tool such as ArcGIS Online and a specialized orienteering map tool called Open Orienteering Map (http://oomap.co.uk/). I plan to devote the three blogs required to describe how the orienteering maps are created with each system – ArcGIS Desktop, ArcGIS Online, and Open Orienteering Map. Downloaded the 3-meter National Elevation Dataset and hydrology data for Fairfax County from the USDA Natural Resources Conservation Service (NRCS) Geospatial Data Gateway. Created an “extent” polygon shape file defining the region of interest around Fraser Preserve located in the western section of Great Falls, Virginia, near the Potomac River. Created a 3-meter topographic line data set for Fairfax County using the Contour tool from the 3D Analyst toolbox. Performed an Extract-By-Mask operation to create a 3-meter elevation data layer inside the extent polygon region at Camp Fraser Preserve. Selected only those water features in the extent using manual polygon deletion operations for the river, with reverse selection for streams and ponds. 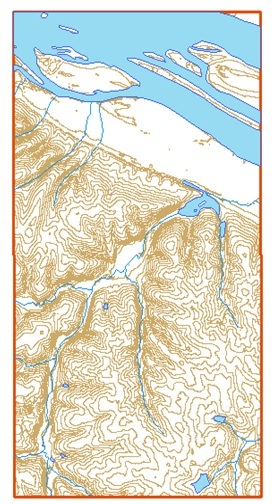 Removed topographic lines bisecting the ponds and rivers. 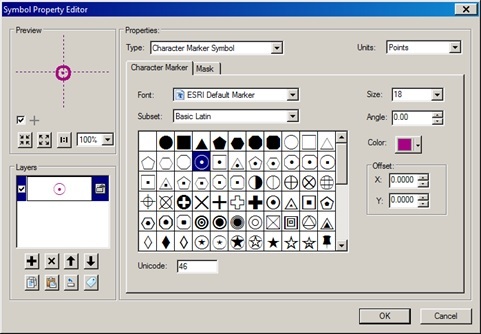 Set the fill colors and point size of the above features (topographic lines, streams, ponds, and river) according to IOF cartographic standards. Steven Boga, Orienteering: The Sport of Navigating with Map & Compass, Stackpole Books, Mechanicsburg, PA, copyright 1997, Chapter 3 Map and Compass, pp 23-67. Bjorn Hjellstrom, Be Expert with Map & Compass, The Complete Orienteering Handbook, 2nd Ed., Macmillan General Reference, New York, NY, copyright 1994, Part 1, Discovery Fun with Maps Alone, pp 9-61. Part 2, Exploration, Fun with Compass Alone, pp 63-104. The Boy Scout Handbook, 11th Edition, copyright 1998, Chapter 5, First Class Scout, pp 111-125. Camp Fraser Preserve at Openstreetmap.org web site: http://www.openstreetmap.org/#map=17/39.04637/-77.30559, [24 October 2015]. USDA Natural Resources Conservation Service Geospatial Data Gateway: https://gdg.sc.egov.usda.gov/, [24 October 2015]. 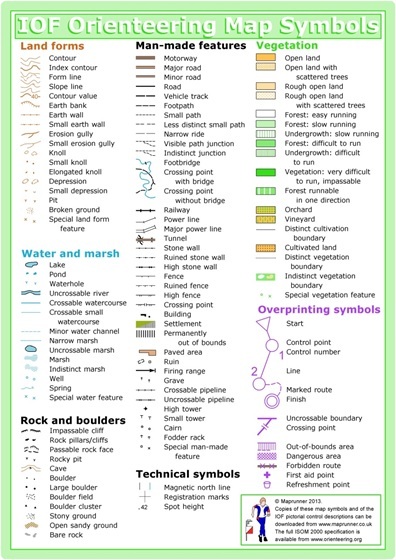 International Orienteering Federation map symbols: http://www.maprunner.co.uk/simon/mapsymbols.jpg, [24 October 2015]. Orienteering USA: http://www.us.orienteering.org/new-o/beginners-guide/maps, [24 October 2015].